Start the 2019 Daytona Bike Week in an uplifting and positive way! 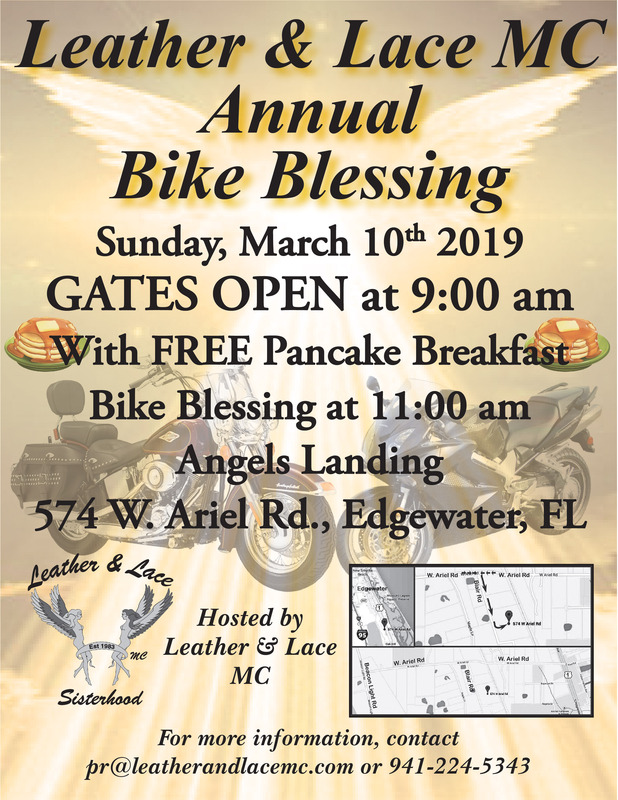 Join the ladies of Leather & Lace MC at their Annual Bike Blessing and FREE Pancake Breakfast. This is free and open to the public. All bikes welcome! Blessing commences at 11:00 am. Come early for the FREE pancake breakfast!